In this revolutionary, New York Times bestselling book, cutting-edge nutrition expert Lyn-Genet Recitas reveals the surprising truth behind what actually makes people pack on the pounds. Carbs and portion sizes, it turns out, are not the problem. Foods that are revered by traditional weight loss programs, such as turkey, eggs, cauliflower, beans, and tomatoes, may be healthy in a vacuum, but when combined with each person’s unique chemistry, they can cause a toxic reaction that triggers weight gain, premature aging, inflammation, and a host of health problems including constipation, migraines, joint pain, and depression. 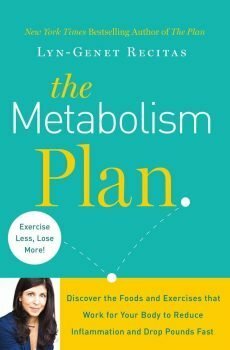 Now this groundbreaking 20-day program helps readers finally unlock the mystery behind what does and does not work for their individual body. Avoid feeling bloated, tired, or unhealthy again! Feel better, look better, and be empowered by the knowledge of what truly works best for your body! The Plan book has been translated in to over 8 languages and is distributed internationally with new countries and regions being added and updated constantly. 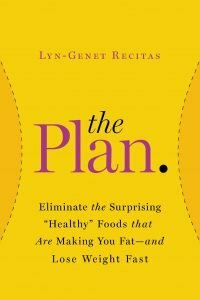 In her New York Times and USA Today bestseller The Plan, Lyn-Genet Recitas revealed what surprisingly “healthy” foods cause weight gain and a host of other health problems such as migraines, joint pain, and depression. Now all those who follow The Plan, and have learned which foods to eliminate from their diets, can support their new, healthier lifestyle with these delicious recipes. Recitas includes selections for breakfast, lunch, dinner, snacks, sides, and desserts, such as Panko Crusted Orange Chipotle Chicken, Brazilian Coconut Rice, Provencal Fish with Fennel, Lemon, and Herbs, Red Velvet Cupcakes, and many more. Who says a healthy diet can’t be a tasty one?